As a therapist who is often called upon by the media to share my insights on timely topics in the news, I was both intrigued by and excited about the opportunity to participate in an ensemble comedy piece about “free range parenting” on Comedy Central. In my blog article today, find this as a ‘therapist’s memo‘ if you will, where I express my reaction to my participation in Comedy Central’s The Daily Show With Jon Stewart. Take this as a bit of a behind the scenes look at what really goes on, as well as discover what surprised me, and I don’t get surprised often. For this comedy spoof about parenting I was asked to participate in, which would be a spoof on all involved; on the topic itself as well as the participants, I must say that the comic who interviewed me, I had a blast working with. He had me rolling in laughter during the interview in between questions, and his name is: Jordan Klepper. 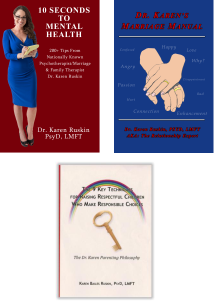 Since 1993 I have been providing counseling services as a Psychotherapist who specializes in the relationship dynamics between people (e.g., parent-child, husband-wife). I have helped and continue to help adults with their parenting, children with their challenges, family relationship dynamic issues, couples in disharmony, and individuals and their mental health and wellness — each with their wide range of emotional and behavioral problems and/or desire for personal and/or relational enhancement by providing solution driven counseling services, insight and tips. My line of work is serious business. My clientele’s problems are serious. My interviews on television, radio and in print media are with consistency typically quite serious. I take what I do for work and people’s needs extremely seriously. I am known to be genuinely passionate about helping people and I am vested in the mental health and wellness of our country. Which is why I often volunteer my time as a guest expert for the media (TV, radio print), for the media is a wonderful vessel in which to touch the lives of the many, by sheer numbers. As a person, in addition to my professional side, I do have a robust sense of humor. Those who know me know that I love to laugh. There are times that even a serious topic such as: parenting, there is humor. How we raise our children is serious business, I take it seriously both as a parent and as a therapist. Hence not only why I provide counseling and write a blog to help educate others on a wide variety of topics; including parenting, I also wrote a book based upon my parenting education workshop entitled: 9 Key Techniques For Raising Respectful Children Who Make Responsible Choices. In essence, I care about people and their mental health and wellness. With that said, in addition to my serious side, my humorous side goes way back to childhood. One of my favorite TV programs as a kid growing up in the 70’s, and as a teen in the 80’s was: ‘Saturday Night Live’ (SNL). The comic actors and writers on SNL truly had a skill for the art of humor and spoofs in response to very serious and timely topics in the news. I found spoofs on serious news topics hands down hysterical. It was smart television I felt. So, to be asked by Comedy Central’s The Daily Show, if I would be interested in participating in a spoof on parenting, I agreed. For is that not what The Daily Show does? Yes, it creates spoofs on timely topics in the news. With much editing, the production team at The Daily Show comes up with a final product package to present to their viewers to provide a humorous twist on a wide variety of timely topics in the news. I knew going in that this would be like no ordinary interview that I normally do. Typically, for an example, when I am on FOX News the interviews are live on air, right then and there. The interviews are typically 3-5 minutes in length in front of the camera airing as I speak. Therefore, what I say are my own words, there is no misrepresenting of what I state, no confusion as to what my point may be, because what I say is not edited at all. And it is serious when I am on the air on the news. I feel so blessed that FOX News provides me with such an amazing opportunity, which is to do what I love and am passionate about: provide insights through the lens of a Psychotherapist in order to help people with what people often tell me are cutting edge insights, and that I provide practical and do-able tips, and thought provoking notions. If you wish to read my blog article where I thank FOX News for opening their doors to me which allowed my dreams of touching the lives of the many to come true, check it out: Psychotherapist Thanks FOX News. 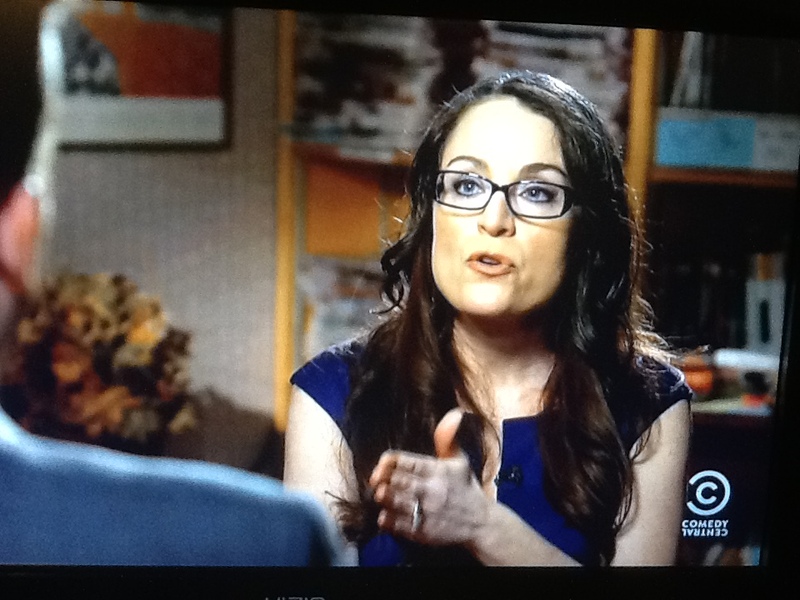 When I am on other shows providing my expertise as a mental health professional and as a marriage and family therapist providing my mental health tips or relationship insights, it is also a different genre and experience then being on Comedy Central. I have appeared on ABC’s GMA, Lifetime, Discovery, MTV, HUFF Post Live, and more… anyway, point being that the general theme when I am on television is that I am there for a serious discussion. On Comedy Central by contrast, I was there for a spoof and FYI; my interview was for 3 hours. That’s right- 3 hours worth of me talking and footage to be cut up, lol. How’s that for inside scoop? So, what happens with the 3 hour interview? That interview was edited with portions plucked to represent the message that The Daily Show wanted it’s viewers to think. Although this inside scoop I am providing is not often water cooler talk, in reality it is no secret nor surprise that the interviews are longer than what is presented on TV and that it is edited, right? 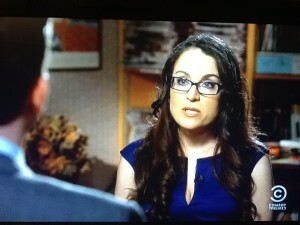 Everyone really knows that interviews on The Daily Show are cut and pasted right? Everyone knows that The Daily Show is not unique in the utilization of the cut and paste methodology right? It is a fascinating concept for those who do not know the nature of what goes on behind the scenes though, yes? 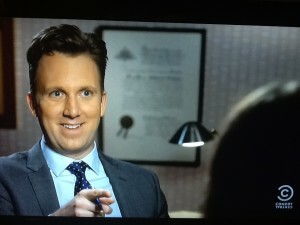 For an example, the interview included moments where the producer would stop the comic actor Jordan Klepper from asking me questions, and then had him make various facial expressions including: shock, horror, curiosity, surprise, etc. In this way, the facial expressions that were desired to be displayed could be cut to use as per desired by The Daily Show. There were times that the comic would ask very serious questions so I had the opportunity to share my full opinion, and there were other times the comic would say something quite outrageous to where I certainly would react. The final product that the viewers see when the spoof airs, is a cut and paste, a full on editing job to portray the message The Daily Show desires to provide for humor. And indeed the segment was hysterical, in my humble opinion. And, I received marked reaction from many who found it hysterical as well. Let’s look at a few more examples of what editing can do. For an example, a few words from one of my sentences in response to a specific question would then be displayed as a response to a different question. Another example is that my facial expression in response to something the comic shared that was outrageous would be able to be cut and pasted, as though it is in response to a different question. A sentence providing a specific educational point was cut to where it was just a few words, and as such can be seriously taken out of context and thus super funny in the segment. All this is in order to provide for a comedic version of one version of reality to display to the viewers based upon the message version of a reality that Comedy Central wanted to share. Yes, they decide that, they decide the angle, they decide the message, in essence they decide what reality is. Brilliant to create humor and twist reality to create a new reality that is – funny. After all, it is ‘Comedy Central’. Comedy Central’s The Daily Show Is Not News – Can You Believe That? To my surprise, the reaction some of the public had was not one of laughter about this segment and my participation in it. Rather it was one of outrage. What I have learned after appearing on The Daily Show is that there are some people that do not understand that the interviews that the comic actor’s provide with participants such as myself are sliced and diced, cut and chopped and pasted into a final product that Comedy Central designs to create a message they wish for their audience to think. As I mentioned above. I discovered after appearing on this show that some people genuinely believe that the interview message is a fully accurate depiction of the participants’ statements. I truly thought that the very fact that the station is: “Comedy Central”, and the host is a comic, and the hired comics that Jon refers to as his “correspondents” – is clear enough to all the public to recognize that the interviews the “correspondents” do, and the guest participants such as myself is a . . . (drum roll please) spoof. I sincerely thought all people get that. How silly of me huh, apparently. LOL. Also to my surprise was that there are those of whom thought that I and the other participant in the ensemble piece: Lenore Skenazy, were in a debate. A debate? I have to laugh. Lenore was interviewed separate from me, again, by a comic actor. A debate is when the reality of what each person said is played so that the viewer can evaluate on their own their opinion about what each person presented. Certainly a cut and paste and shifting of sentences and facial expressions to put together a package of humor in the message that the comedy show’s production team decides to present is not a debate. The fact that there are some that view it that way is mildly disturbing, or perhaps that is humorous, depending on how one wishes to view the lack of understanding some have for the show’s premise. Again… it’s Comedy Central – a spoof! A spoof on all involved. Is this really where some people get their news and really believe that Lenore and I were in a debate? Good grief. Now, to be fair, The Daily Show does take portions of real interviews that previously aired on real news shows and inject that into their show. They have done that before with interviews I have done on FOX News. So is it possible some may be confused and think that’s what happened here? Hm. I doubt that considering that those who watch the show know it’s concept, but then again, maybe that’s the brilliance of the show- that it confuses some as to what is reality vs. is not. I am writing this blog today in reaction to the abundance of social media response to my appearance on The Daily Show because I find it fascinating that what is truly a comedy show, a spoof of what’s going on in the news, can create such public reaction. It actually surprised me. Unfortunately there are many therapists, and others with a message, whom do not speak up in serious form in a live interview where their words are not edited, for fear of viewers response. Thus, unfortunately there are many who would never participate in a comedy sketch for the reaction may be negative. I though have decided in life that there are various ways in which to open the lines of communication between people and generate conversation about important topics. Being on a comedy show is one way, and it was an interesting unique experience for sure. As a serious professional I definitely went outside of my box on this one. I adored the people I worked with, they were all hard working and fun. I participated in a funny spoof. It was a spoof on parenting, a spoof on free range parenting vs helicopter parenting. For those who know me both personally and professionally know that I am not what is referenced as a helicopter parent nor do I promote that style of parenting. Nor would I be what is considered providing nor promoting free range parenting. I believe in children going outside. I believe in children playing with unstructured uninterrupted play. I believe in children 10 and under having parental or adult oversight that is not hovering, I repeat, yes, oversight. I believe bad things happen to good children and it is up to parents to be there to protect their children, as that’s our job. As a therapist I am very aware that sadly more children then people realize are sexually hurt by predators that never go reported and could have been prevented had there been adult oversight. I hear those cases, I know those kids, and I know those now adults of whom that happened to as a kid. Ages 6-10 is a vulnerable time and a fun time, parents need to be around. Ages 6-10 is the whole of the free range parenting movement, and that is not the ideal time to no longer have adult supervision. I have written several articles from a serious perspective on parenting, in reaction to free range parenting, if you really want to know my philosophies and not take it from a comedic version of an ensemble piece, I invite you to check out the links below. Yes the very interview being referenced throughout this blog, just in case as the reader you did not have the opportunity to see it when it aired. Are you ready to see it through the lens of a joke? If yes, then click: Spoof on Parenting. What I adore about the media (TV, radio, print), is that it’s a vessel in which to share a perspective and large numbers hear that perspective. Whatever the particular topic or point of view may be. The point I feel The Daily Show offers is humor, that there’s humor in even the most serious of things. It’s the ability to look at even the things that we are serious about (like parenting), and take a moment to laugh at it. Which is exactly why I participated in this ensemble piece. And I am glad that I did, it was a fascinating experience. What I did not envision was that there would be so many people who believe what is being depicted. I thought the segment was hilarious. I had a blast participating in it. Having the opportunity to participate in this humorous spoof was fun and something I will never forget. All experiences we learn from, and if we don’t go outside of our box, color outside of our lines, how are we to experience life in it’s fullest? It is stimulating to try new things. I hope all those who are reading this blog take action in their life and confidently seek out to try new things and do not let fear stop you. Do not let the few who throw negatives at you, so to speak, stop you simply because you step outside of your box or because you express a view that is different from their view. Don’t let those who have a different opinion from you stop you from experiencing life. What’s on your “bucket list”? Do it! I am cheering for you. It is unfortunate that not all people find the humor in the humor and get nasty. I want to take a moment to thank all of those who contacted me and enjoyed the humor and my willingness to put myself out there in a humorous way. It was very enjoyable to receive such warm responses, and I am so happy to know that I touched those who could use a little humor in their life. And to those who are angry and upset and as such not unlike children express themselves in a nasty manner, well, to them I have chosen not to spend my time commenting. Whether or not it’s a spoof, I was really disappointed in Jon Stewart and Comedy Central for promoting this libertarian propaganda. I’ve never been to your website or heard you speak before, but it was obvious to me that they intentionally spliced your interview to put a humorous spin on their position on this topic – which is clearly sympathetic to free range parents. I wish they had been more critical of the fallacies in Skenazy’s argument and had called her out on the fear mongering that she’s responsible for. She’s perpetuating the myth that CPS is constantly removing children from their parents without cause. Even if you believe 100% of the stories floating around the internet about free range parents being unjustly persecuted by police and CPS, the number of those cases is negligible compared to the number of children who die as a result of child abuse/neglect while in their parents care due to lack of intervention from the community or state. It’s not stranger danger OR the nanny state that we should be talking about. It’s the fact that child protective service agencies are understaffed and underfunded so they send undertrained and/or burnt out staff to investigate children in high-risk situations. More often than the reverse, children are left in unsafe situation b/c of lack of foster care placements, lack of followup/oversight by the state, etc. Policies on free range parenting aren’t even on my list of concerns when it comes to child welfare and I have a hard time believing Jon Stewart would actually agree with her. I have to hope that he didn’t have time to research it and went along with someone else’s suggestion. What fallacies? That CPS does need major overhauls to prevent innocent families from being torn apart? That crime is at an all time low, making today safer than ever? That stranger abductions are so rare that a parent really does need to worry? That children develop better life skills when allowed to be unsupervised? Because none of these are fallacies, they are facts. You should really learn about things before commenting. I don’t expect this comment to appear, because Ruskin only posts comments that support her. She is afraid of differing opinions, and opposition. Interesting your decided judgment of me. I will take a moment to share with you, so you can get to know a little more about me if you so desire, that indeed I am interested in varied opinions, and am always happy to read them. Thank you for sharing yours. I have received all of your many posts you submitted. Unfortunately, as my schedule stands, I do not always have time to read all of the comments submitted and as such do not have time to post them all, regardless of what the points may be. My blog is something I do to share my thoughts for readers when I can. Comments are sometimes posted, but unfortunately not able to be on the top of my list to accommodate at this time, my apologies. The week where I received an influx of posts both pro and con re this particular TV appearance I was attending to a family medical matter, as such I did not attend to any posts. Thus it was not until the following week that I was finally able to sit down and blog about it. Though unfortunately there are simply too many comments both pro and con to read through that were submitted that week, so unfortunately none of them are being posted after the fact. I feel honored that so many people took the time to comment. A little more you don’t know about me perhaps, is that my full time job is as a therapist where I see clients. In addition, as the owner of a counseling practice my model is a little unique to where I personally return every new client call to evaluate which therapist in my practice they should be referred to, rather than utilizing a receptionist to make that very important decision. As client care is extremely important to me and as such I want all clients to receive concierge service. I am sure you can imagine that if I am seeing a full time case load of my own, and in addition before hours and after hours calling back new clients every day to refer them to the appropriate treatment practitioner, that simply does not leave much time for blog response. I love what I do, and am passionate about what I do and feel blessed to do what I love. The time I volunteer my expertise to appear on the news, of course that is in the mix of my time allotment. And let’s not forget about my very high priority: personal and familial obligations. So with that, hopefully going forward Warren, you can take a moment to consider that until I hire a staff to attend to all of this, lol, nope, I make this choice as is and love it, sooooo, those who write in do not always get their write ins published. Perhaps you may wish to create your own blog since it seems you have a lot on your mind. I hope this helps you going forward to know that your voice matters, anyone who has a comment matters, though unless I quit my job and devote my time to reading and posting and responding to every blog write in, every person who emails me because they have seen me on TV, every person who posts on twitter or facebook – I simply will have to accept the reality that some may feel slighted since their comment was not reviewed. I am hopeful that my taking the time to share this with you Warren, you find as helpful and going forward you can know that whether a person feels pro or con of something I have shared on TV, I will continue to do my best to make time for reader comments. As I sincerely appreciate anyone who takes time out of their busy day to share their thoughts. Though I apologize in advance that many will not be posted, I acknowledge that, for although blogs by design are set up for readers to make comments, I do not always use that feature of the technology offered. Also please know that comments that are nasty – hitting below the belt by attacking, I do chose not to dignify the attack for that is not what I wish to subject my readers to, for I believe readers are typically sensible folk and I do not condone that behavior. Thank you for taking the time to write in. Your comments are insightful and appreciated. I really enjoyed the spoof and am glad to learn that you are such a great sport about it. The fact is, different parents are going to make different decisions about the best ways to raise their children, and while I don’t consider myself to necessarily be a “libertarian,” Bruna F., it’s okay with me when other parents do things differently than me. I certainly feel that CPS intervention is warranted if children are being beaten, molested, or deprived of food or other basic needs, but it concerns me when I hear about them stepping in and trying to direct the lives of families in which this kind of abuse and neglect is not at all present. Statistically speaking, frequent car travel puts children at greater risk than letting them play outdoors on their own, but I don’t fault parents who feel that it’s in their children’s best interests to spend a significant amount of time each week driving them to various activities. In fact, now that I have a teenager, I’m finding that the role of chauffeur may well be my most important role from her perspective. 🙂 And I even look forward to those car trips because this seems to be the time when she’s most inclined to communicate with me nowadays. Thanks for taking the time to write in. You are very kind to say that you are glad to know that I was “such a great sport about it.” What a nice thing to say to another human being, and I am glad that you enjoyed the spoof. I received marked response from people who found it hysterical. I also received a lot of responses from those who were quite upset as they didn’t understand the slice and dice humor, so it is always nice to receive commentary from those who get it. Appreciate you sharing your perspective here in your blog comment, in a well-spoken manner. And… enjoy your role as chauffeur. LOL, agreed- us parents must enjoy the window of opportunity. As a parent of a teen as well, I hear ya, take it where you can get it, ha ha.